Water is one of the most difficult elements to portray realistically, when it comes to painting. To show the different ‘phases’ of water can be an interesting project by itself – be it a gushing waterfall or the waves at a sea shore, be it the silence of a well in a village or the wind blowing softly across a lake in a forest. To show reflections across the water’s surface, the merging of myriad colours in its depths is a challenge that is worth it! There is a lot of ground to cover when it comes to learning how to paint water, but it gets easier with practice. And to tell you the truth, it is totally worth it! 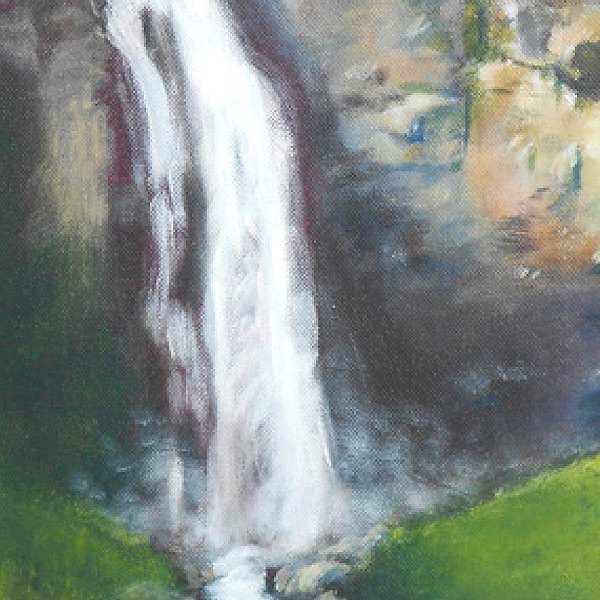 Water can be painted using different mediums such as water colours, acrylics, oil paints, colour pencils, etc. While using something as variable as water as a subject for painting, trying to remember the image of the water in your mind’s eye can be difficult for. Observe how the values of the objects reflected in the water are more muted than on the object itself. While painting, it is important to keep in mind that the reflection of the dark part of the tree trunk is lighter than the tree trunk itself, the opposite is true for the highlight of the tree. You can begin by painting the reflection almost the same colour as the object you want to show. Once this dries, take some acrylic glazing liquid and add to it a small amount of white paint. Apply this mixture smoothly across your painting for a glaze effect. This lightens the water’s colour just right and gives it a more realistic finishing. Remember that there are no reflections whenever there is movement in the water – be it a waterfall, ocean waves or a river. Sometimes the water scene may contain both calm as well as moving water, in which case you will need to add some energetic and vivid brush strokes. Go on, be bold with your brush work! ‘Waterlines’ are where the water comes up on the land and are made of light and neutral, yet earthy colours. A waterline does not span across the entire shore – it is a broken line most of the times with many variations of thick and thin. 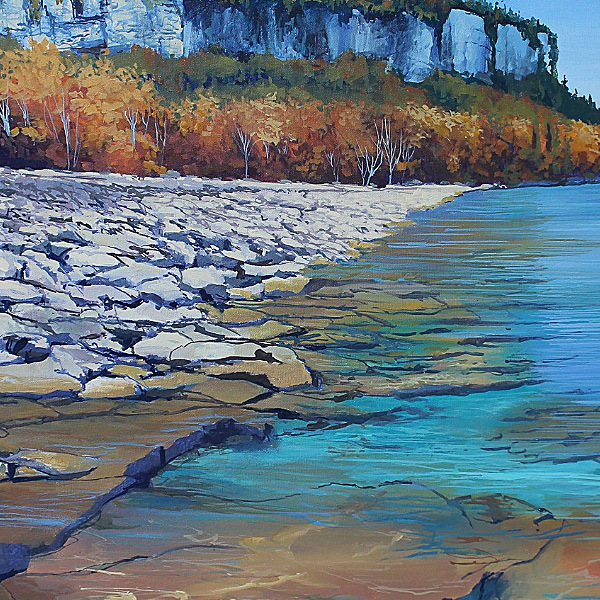 Adding elements like land to your painting gives you a chance to add interesting features to your landscape like wildflowers, river rocks or sand! This adds depth to your painting, making it more realistic. Keep practicing and you will get better at it! 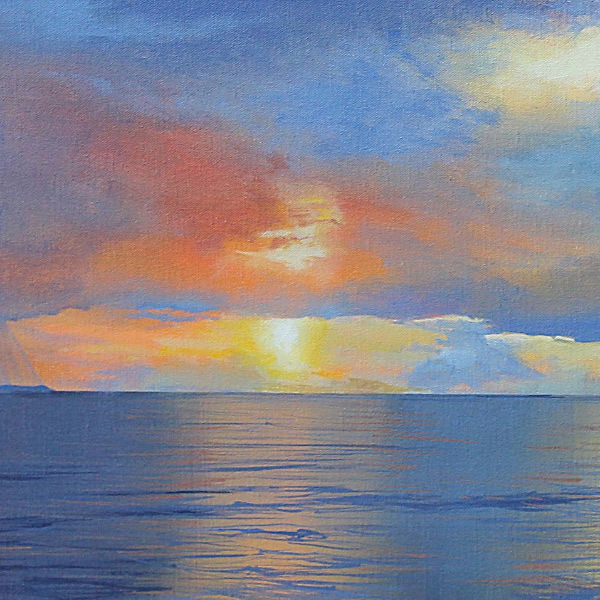 Did you like our tips on how to paint water with acrylics? Do share with us in the comments. The most expensive Indian Painting sold at $3.7mn!